Q. I hear the terms Collegiate Recovery Program and Collegiate Recovery Community a lot, what are they and what is the difference? While the terms CRP and CRC are often used interchangeably, some programs use them in slightly different manners. There may be differences in the level and involvement of the university and the roles played by the staff, they may refer to one as the program and the other as the actual community of students within the program. When inquiring about a program at a specific institution, be sure to clarify what they mean when they use a specific term. Q. What resources are available to help my campus start a Collegiate Recovery Program? The Association of Recovery in Higher Education’s Regional Representatives offer free consultation to campuses that are starting Collegiate Recovery Programs. You can email recovery@collegiaterecovery.org to be directed to your Regional Representative, or you can check out our Board Members page to connect directly. Foundational materials are available upon request. In addition check the resource page of this website. Texas Tech University’s Center for the Study of Addiction and Recovery has developed a curriculum that is used as a guide for individuals or organizations interested in implementing community support and relapse prevention programs that are specific to the collegiate population. This curriculum has been written to incorporate both two-year colleges and four-year universities. Additionally, the curriculum is implemented through academic programs, student services or student health services. For many schools a great source of financial support comes from donors. Often these donors support collegiate recovery due to a personal story or interest, and others from more of a business or political interest. Some schools have been very successful in recruiting support and financial means through their Alumni. For schools with longer-standing traditions in Collegiate Recovery this often means graduates or family members of graduates. For schools that are trying to start up a program this means more active recruitment of alumni who may be passionate about the development of a Collegiate Recovery Program. Q. How do I identify recovering students on my campus? A. There are multiple ways to determine if your campus has recovering students (we know that you do). The question truly is: How do I bring all the students together to assist our campus in developing a CRP? Consider your campus culture and the best means to get the word out. 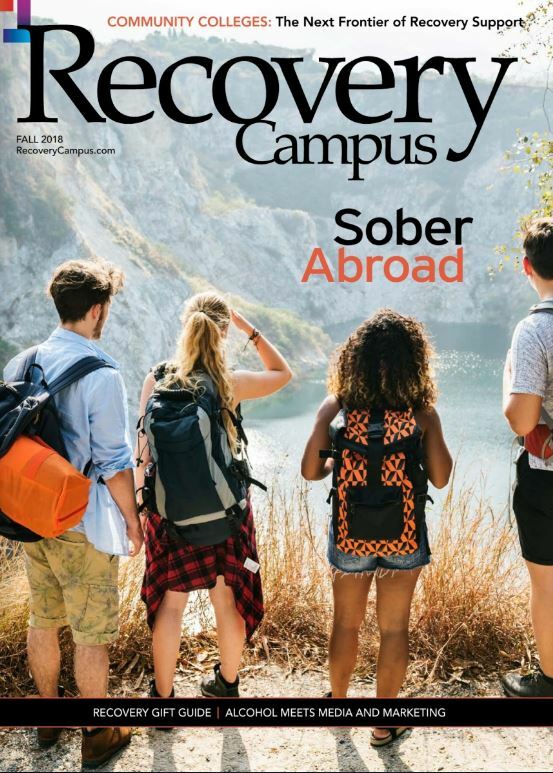 A campus wide email, orientation days, brief blurb on your housing page, are just a few examples of tapping into your recovery student population. Please keep in mind that once you recruit a few students, word of mouth in the recovery community is your most powerful asset in recruiting more students. Q. Which departments house most CRPs? What about Housing? When determining where to place a CRP on your campus, it may be helpful to assess a few areas first: Who is spearheading the project? Where will potential institutional funding come from? If possible, can the CRP be centrally located on your campus? CRPs are often housed within the Division of Student Affairs, within an Academic College, within Residential Life, and within Departments dedicated to Wellness. Housing is an optional location as well, but please remember that to start a CRP a campus does not have to provide sober-living dorms or houses. A sober roommate referral system through your housing department can be set up in the interim of establishing if your students need sober housing. Q. What types of professionals qualify as a coordinator of a CRP? A. Since this is an emerging field, there is no one professional license or degree that better qualifies one professional from another. First, you will need to know what department your CRP will be housed in and then use that department’s staff specifications as a guideline for job descriptions. Members of the ARHE, with a CRP on their campus can provide examples of job descriptions which can be adapted to your campus’ specific needs. Q. What types of activities/programming do CRPs provide to recovering students? A. Most CRPs offer space for the community to come together to build relationships and join in fellowship. Some CRPs provide academic courses, retreats, leadership workshops, gender-specific events, health and wellness activities, recovery conferences, etc. Almost all CRPs strive to provide space on their campus for different 12 step fellowships and recovery support groups. Some are located on campus in shared space, a classroom or inside of the CRP. These meetings are peer organized and led by the students. CRP professionals can coordinate community-building projects. Q. Funding: What does it take to start a CRP? A: As there are many ways that CRPs can start, the funding ranges tremendously – both in amount, and source. If a program is fortunate to have staffing and space at its start, it’s helpful to have funding to provide programming to attract students to the space. Programs have been known to start with as little funding as $5,000 to as much funding as $100,000 annually. Initially funding can come from a variety of sources, grants, research, state government, line item, donation, etc. but it’s important that eventually funding become institutionalized for the stability of the program. Of primary importance for getting started is having one committed person. This person needs to have both desire and passion for collegiate recovery, and a connection to the school. Q. What types of recovery support meetings are students expecting to access on a college campus? A. There are many different types of support groups. The most common groups we are seeing in today’s CRPs include: Narcotics Anonymous, Alcoholics Anonymous, Al-anon, Cocaine Anonymous, SMART Recovery, Over Eaters Anonymous, Food Addicts Anonymous, and some faith-based meetings. Please keep in mind that each campus and recovery community will have a culture specific unto itself. It will be helpful to host a small student focus group, to assess what students in your area prefer for recovery support. Q. What is the relapse rate of CRP students? The national relapse average is 5%, which means that approximately 95% of the students who participate in these programs, maintain their recovery. We define recovery as complete abstinence from drugs and alcohol and/or any process addiction. Q. Is there current research being done on the best practices of CRPs? A. Yes, research is constantly being done to assess the best practices of Collegiate Recovery Programs. Please see our research link for more information. Q. Is there a national conference that I may attend to get more information and meet other professionals in the field? A. Yes, there is an annual National Collegiate Recovery Conference hosted by member colleges and universities. Please check the conference tab for more information on this years conference.